In order to attain the goal of “ending AIDS” by 2030, UNAIDS estimates that US$26.2 billion will be needed in 2020 alone- an increase of US1.5 billion per year globally. However, recent funding trends indicate that high-income countries will continue to reduce funding for the HIV response in low- and middle-income countries. In preparation for the increasing decline of donor support, Low Middle Income Countries (LMIC) and Middle Income Countries (MIC) are being encouraged to consider sustainability and transition plans that outline both domestic and international support including national costed plans and country-owned targets related to HIV and their commitments to the SDGs. Governments and agencies including the Global Fund are shifting away from traditional development assistance mechanisms, meanwhile the need for HIV services and support for key populations continues, if not grows. In spite of this, just 2% of all HIV funding, and around 9% of resources allocated specifically for prevention, are spent on this communities- 90% of this is from foreign donors. Donor funding for the HIV response in LMIC countries declined by 7% between 2015 and 2016. In order to sustain (let alone upscale services) governments in LMIC countries will need to significantly increase domestic HIV-related funding, and at the same time development partners must commit to sustainably funding remaining resource needs. However, many questions remain- what financing mechanisms are available to stakeholders, where will the money come from, and to what extent can communities become involved and influence these funding application processes. From 2012 to 2016, the Global Fund based the distribution of HIV funds on country need and allocation methodology was based on criteria such as epidemic prevalence and a country’s ability to finance its own response (otherwise understood as ‘eligibility’). In April 2016, the Global Fund approved a new allocation methodology for 2017 to 2019 which gives greater priority to low-income/high HIV burden countries. If a country reaches upper-middle-income status, they are no longer eligible candidates for Global Fund support (unless there is evidence that the HIV burden continues to be classified as high). These countries will go through a process known as ‘transitional funding’, as they move away from Global Fund grant dependence, towards full domestic funding. However, this will need time and preparation. The new ‘Global Fund Sustainability, Transition and Co-Financing Policy’ (STC), developed by APCOM, addresses many of the concerns, particularly around key populations that might be left behind during a transition. 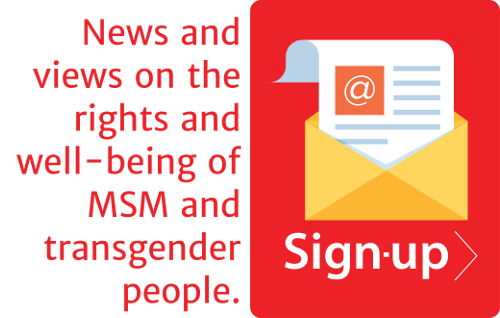 This fact sheet would serve as a tool to increase the knowledge of MSM and Transgender community, to ensure an informed community response in the transition planning process. The STC provides a framework for safeguarding the long-term sustainability of HIV programmes and successful transition away from donor dependence. As part of this process, the Global Fund recommends that countries and communities conduct transition readiness assessments and elaborate transition work plans, in order to facilitate well-planned and successful transitions. This process includes the assessment of health care financing and potential fiscal space, the role and sustainability of civil society (social contracting), and recommendations that this process be grounded in meaningful community engagement. Although we can recognize the importance of independence from foreign donor support, we also acknowledge the fact that communities in our region cannot simply be abandoned- it is crucial that we understand what these funding changes are and what they mean to us, and how we can become involved in these processes. APCOM is working together with MPact (previously the Global Forum on MSM & HIV – MSMGF) as part of the Consortium MSM and Transgender Networks to support country –level affiliates in effectively engaging Global Fund and related national AIDS planning processes. Through a 2.5 year grant from the Global Fund to Fight AIDS, Tuberculosis and Malaria. Read the full Factsheet here.